We love all the shoots we facilitate for Anna Vasily dinnerware, but when chocolate AND our loved ones are also involved? Those are our favourites. 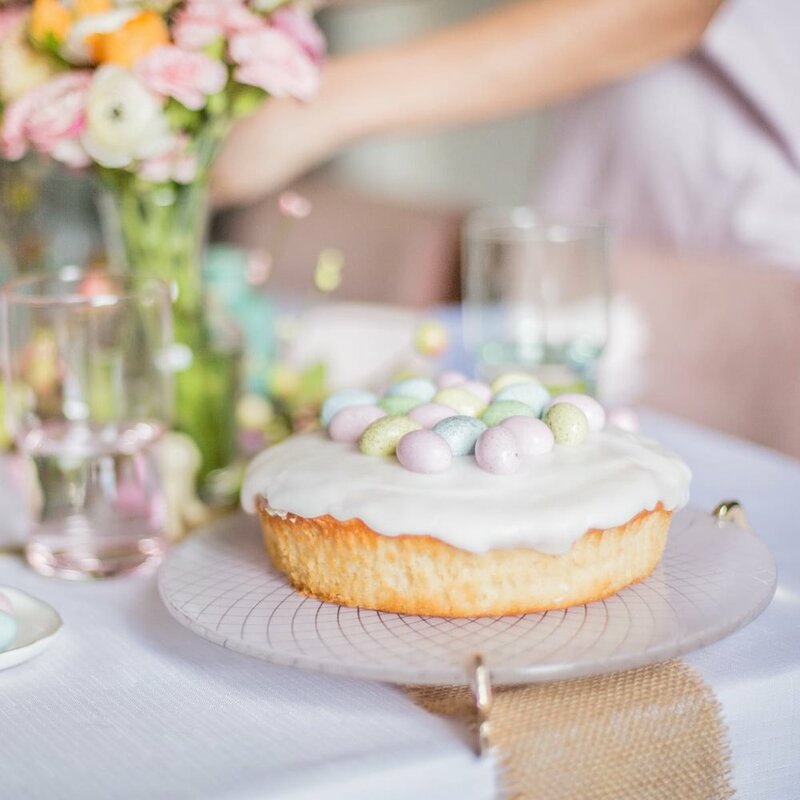 This month’s shoot for Anna Vasily was all about Easter, with pastel palette of dinnerware and accessories, and featured three generations of the Prince and Mercer family. We’re only just into April, and it has already been a huge year for our client, Thin Lizzy Beauty, in terms of new and exciting product launches. We’re lucky enough to create content for this brand monthly, which means that we can keep their content fresh and fun. The last few months have seen some big changes for the brand, including the increase of their Flawless Complexion Liquid Foundation range from 11 shades to an impressive 33, the launch of the Luminous Light Highlighter and Sweet Face Blush trio palettes, and a Velvet Lipcreme in 11 shades. With more and more brands recognising the need for a wide range of shades and undertones to ensure all their customers are able to find a colour match, it is refreshing to see Thin Lizzy extend their range to an impressive 33 shades. One of the brand’s best selling products, the Flawless Complexion Liquid Foundation is a favourite in the Prince and Mercer team, as well. 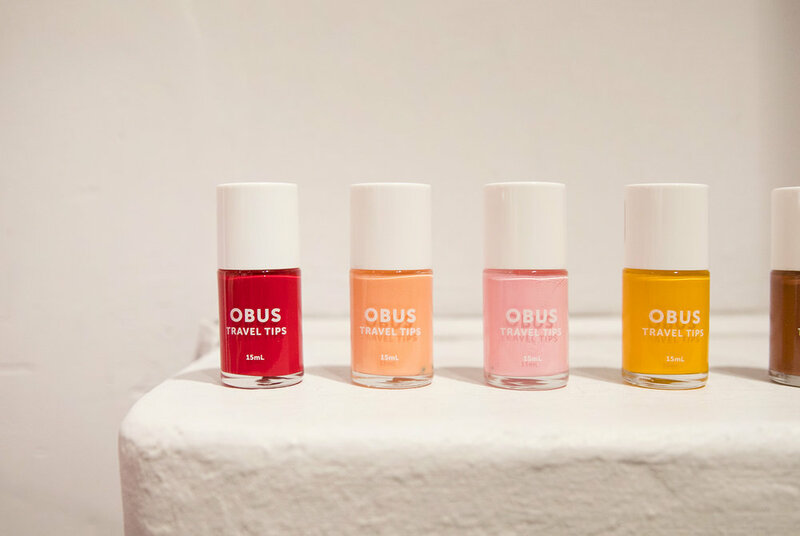 Sourcing a combination of models and beauty bloggers, we were able to fulfil the brief of highlighting the range of shades now available. The release of these two products demonstrate just how far the Thin Lizzy team has come in expanding their product range. Both palettes are not only gorgeous, but the products within are of the highest quality, with the staying power you don’t often see in brands at an accessible-to-everyone price point. Our aim in capturing images of these products was to really highlight (no pun intended) the products themselves, showing the difference between each of the three shades on offer in each palette trio. Available in 11 shades encompassing nudes, berries, reds and corals; Thin Lizzy’s new Velvet Lipcreme is a buildable product that can go from barely-there lip stain to bold lip with a couple of swipes. 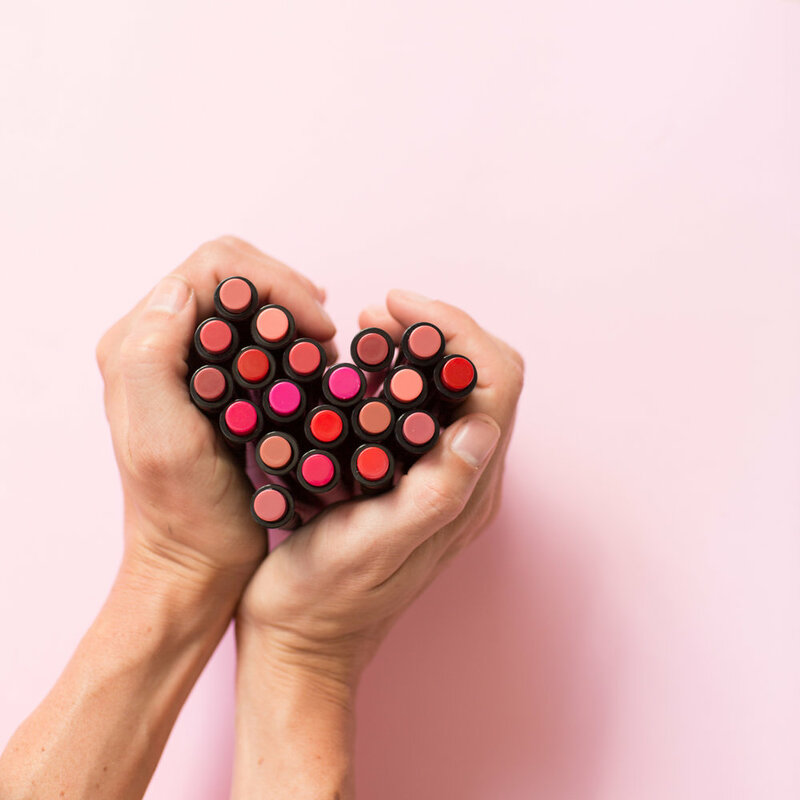 As this product launch coincided with Valentine’s Day, we were able to get creative with shapes, colours and textures to create some great content that was both on-brand and timely. If there’s one thing we love here at Prince and Mercer, it’s the opportunity to get behind small and independent businesses. We love the big brands, don’t get us wrong, but there’s something uniquely special about locally designed, handmade, and Melbourne-centric goods and services. When approached to manage the social media for Flinders Quarter’s inaugural Festival of Independents event, we jumped at the opportunity. Encompassing the area of the city bordered by Flinders, Swanston, Collins and Elizabeth Streets, including Campbell Arcade, Centre Place, Cathedral Arcade, Manchester Lane, Scott Alley, Centreway Arcade and the iconic Nicholas Building, The Festival of Independents is an opportunity for Melbourne residents to support small and independent businesses within the Flinders Quarter. 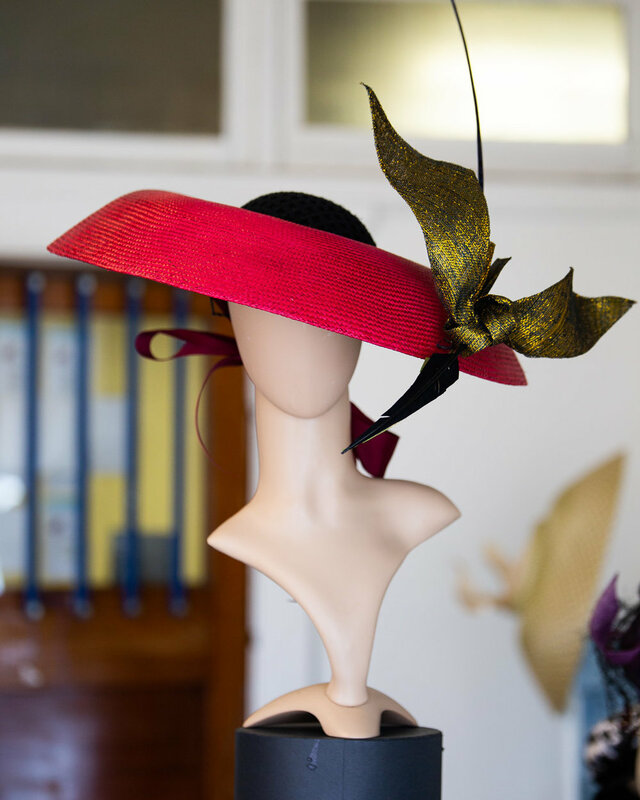 With meet the maker style events, jewellery exhibitions, special offers and samplings, the businesses have rallied together to ensure the event represents all facets of the precinct, from hats to homewares, coffee to cocktails, and accessories to artworks. As we head into the Festive Season, we encourage you to think locally in your purchasing decisions. 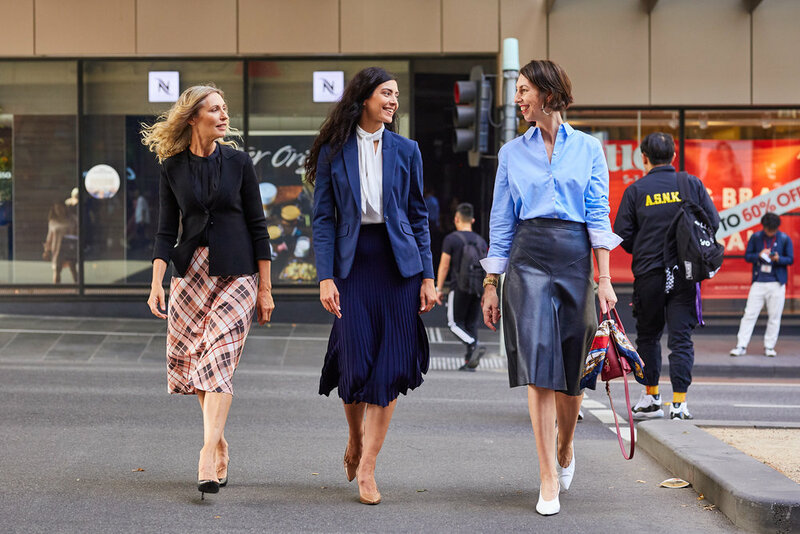 With such a wealth of talent at our doorstep, choosing to support just one local retailer can ensure the survival of the small and independent businesses that make Melbourne such a unique city. The Festival of Independents will be held on Thursday December 6th from 4pm - 9pm. 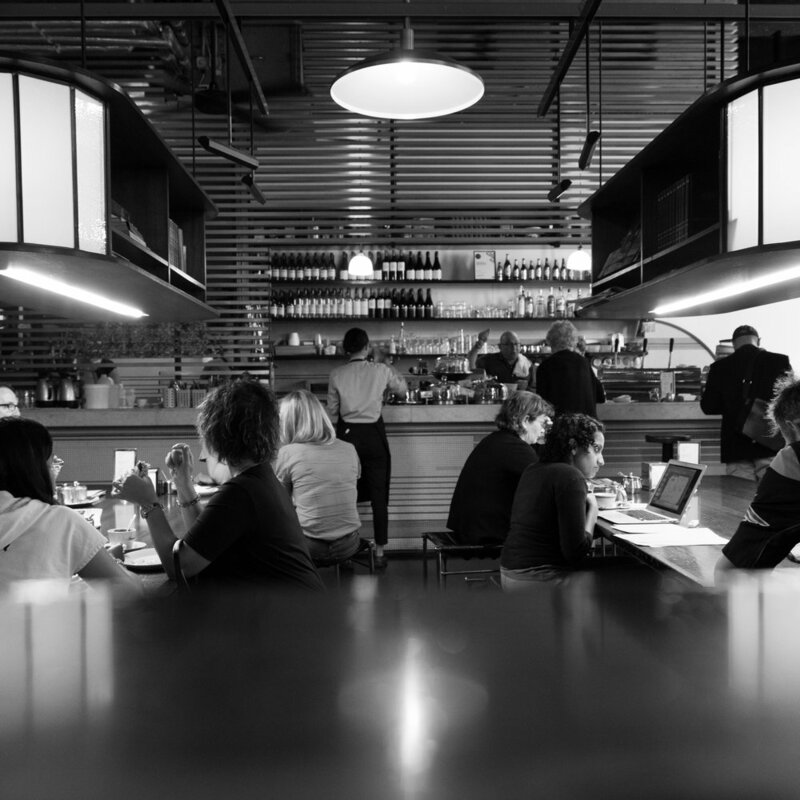 At Prince and Mercer, we love our hospitality clients, and we’re proud to say we’ve worked with some of Melbourne’s best. Ensuring that the images we capture are consistent with the personality of each business, we work with some amazing photographers to capture content that showcases our clients’ offerings in the best possible light. From fine dining to quality coffee to blow-your-mind burgers, our hospitality clients are a diverse bunch. Here are a few of our favourites. 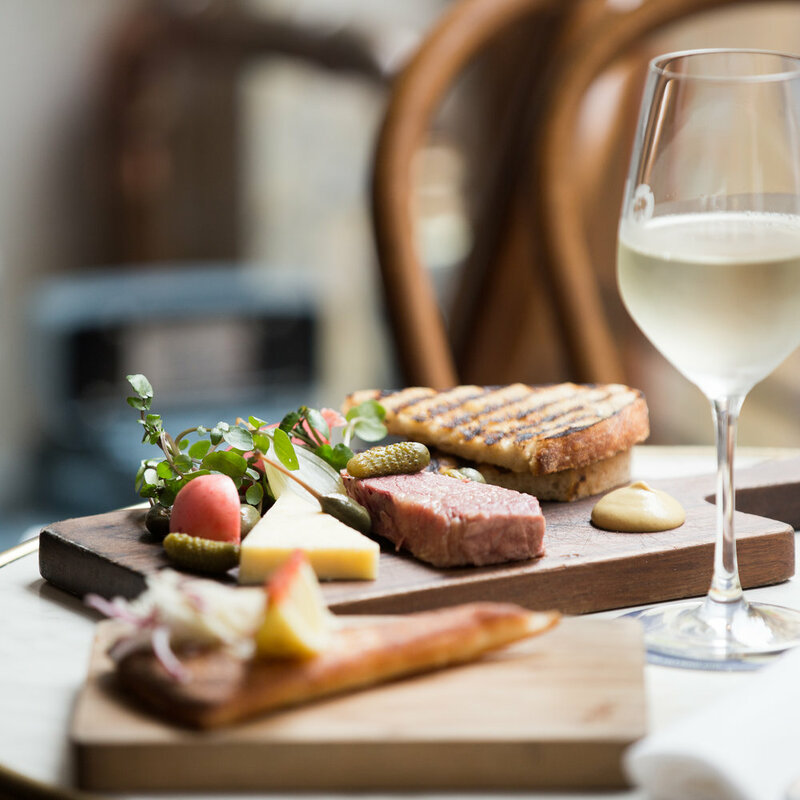 One of our long-standing clients, Syracuse Restaurant and Wine Bar is located in Bank Place in Melbourne’s CBD, between Collins and Little Collins streets. With meals that draw inspiration from Sicilian cuisine and a dessert menu to die for, thanks to Chef Philippa Sibley, the Syracuse team curate an ever-changing menu that offers a diverse and exciting dining experience. Our focus for shoots with Syracuse is to showcase the diverse range of food and beverage offerings available, from breakfast and coffee to dinner and dessert. We also assist in the promotion of their dessert events, which take place regularly throughout the year. 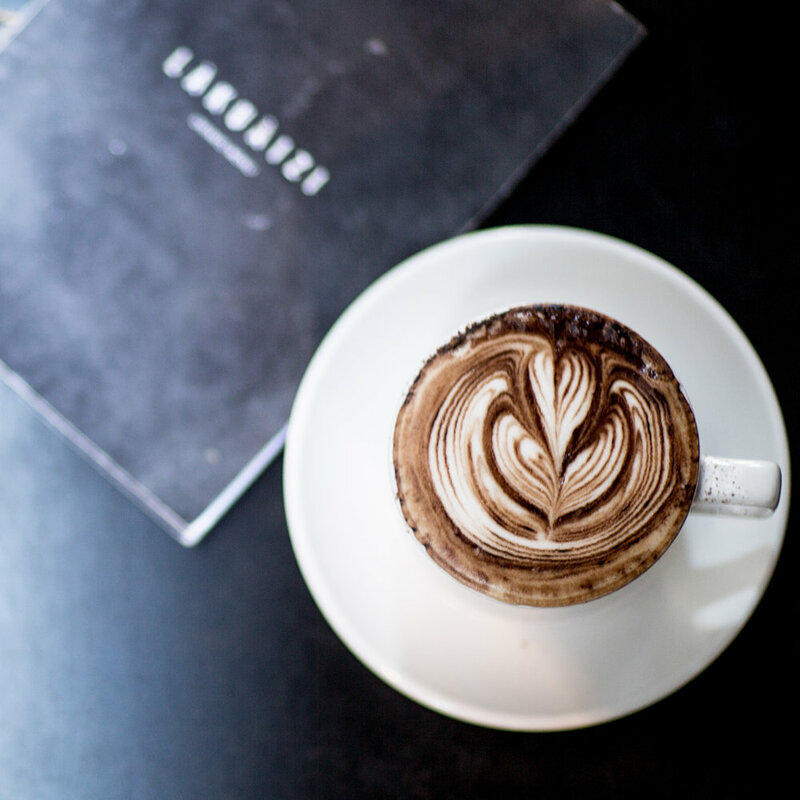 Perfectly situated next to Flagstaff Station in Melbourne’s CBD, Kings and Knaves Espresso has just celebrated their first birthday, and have cultivated an ever-increasing crowd of loyal, raving-fan customers. 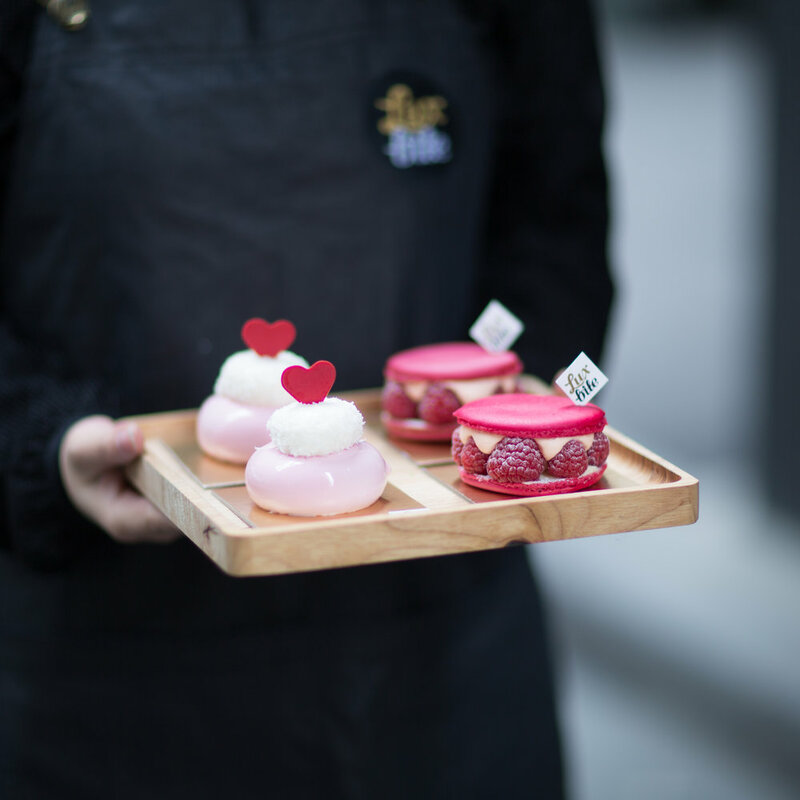 The team at Kings and Knaves understand the importance of collaborating with Melbourne’s food influencer community, and part of our social media management strategy for this business is influencer collaborations and events. 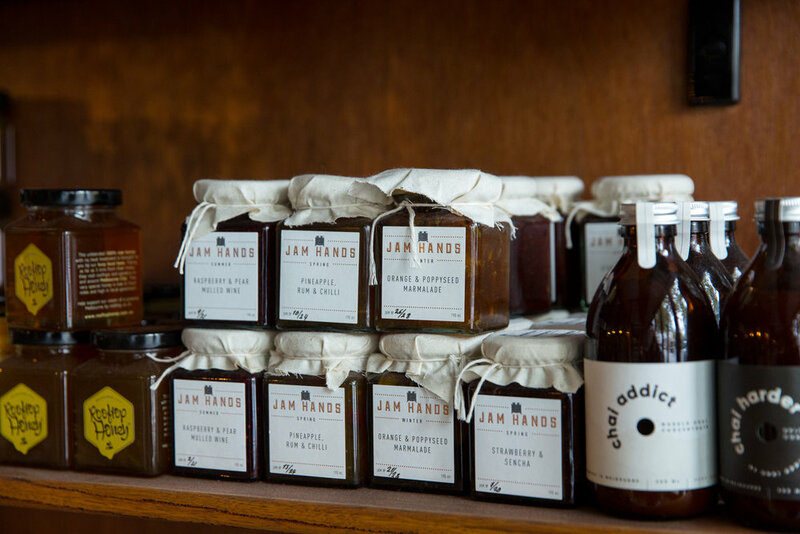 Working closely with local suppliers including (but not limited to) Rooftop Bees Honey, Noisette Bakery, Northside Fruit and Veg, Chai Addict, Sot Cakes by Mork, The Fitzroy Naturopath Team and many more, we love that Kings and Knaves stock and support local small businesses. Down Church Lane, behind an unassuming facade, is Saving Grace. 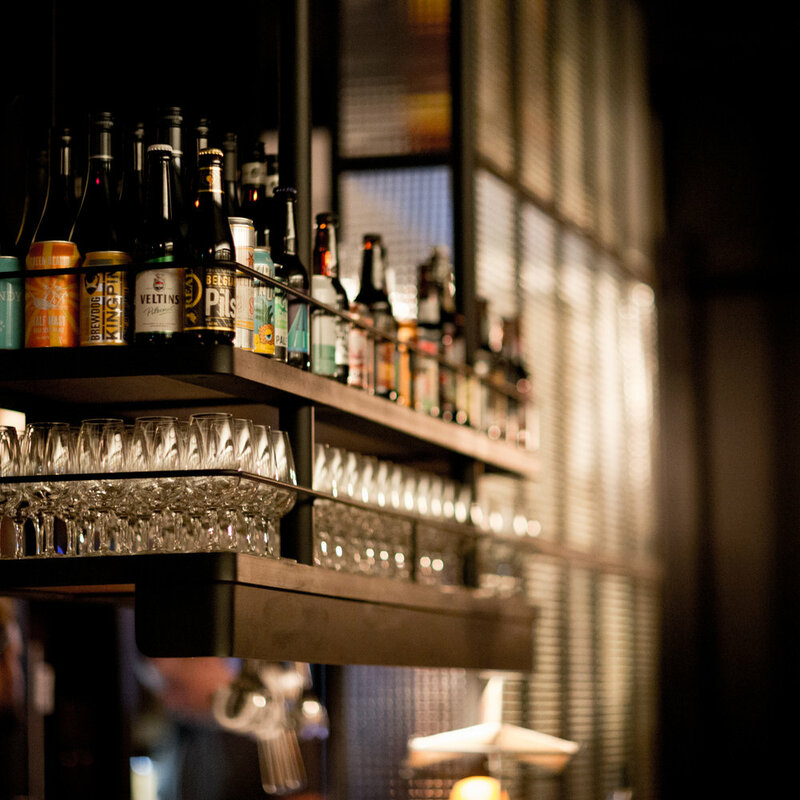 One of our go-to establishments for team meetings over burgers and a glass or two of wine, Saving Grace has it all. 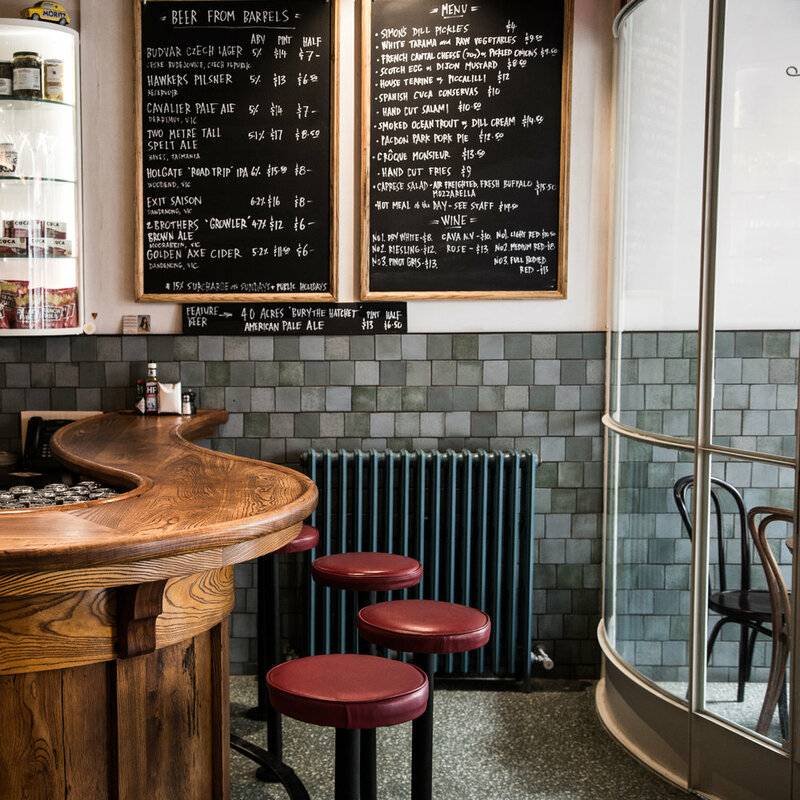 Outstanding food thanks to the Burger Boys team in the kitchen, six rotating beer taps offering the best of the season, a meticulously curated wine list (we recommend the Grenache if you’re a red wine lover! ), and cocktails for when the night calls for something a little bit extravagant. A highlight of our work with Saving Grace has been their promotion for 2018’s Good Beer Week. Teaming up with BrewDog for a week-long tap takeover, the Saving Grace team created a special menu matching BrewDog’s beers with Burger Boys burgers, creating the opportunity for cross-promotion for both parties. We also facilitated food blogger visits in the week leading up to the event to generate interest and content. With plans in the pipeline for some innovative and exciting events, we can’t wait to bring you more great Saving Grace content. For businesses already confident in their ability to manage their own social media channels, we also offer content creation packages. If you have a special event coming up that requires fresh promotional images, or if your feed needs a refresh, shoot us an email. Let’s talk! We love being able to flex our creative muscles for our monthly content shoots for Anna Vasily Design. With new colours and shapes to work with every month, we have the freedom to explore colour and texture, safe in the knowledge that these pieces photograph beautifully. 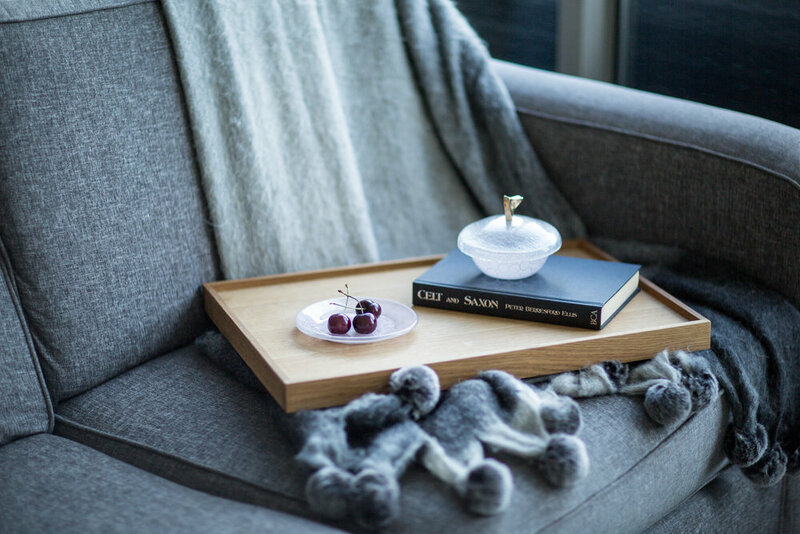 With such stunning pieces to work with, we wanted to showcase this range in a real home to demonstrate how easy it can be to integrate pieces that may usually be relegated to "special occasions only" into everyday life. Using a palette of velvety doe brown, burgundy and lush greenery, this shoot had an opulent, yet accessible, feel. By combining the Anna Vasily pieces with the sort of glassware, cutlery and additional extras you would find in most homes, we were able to create an achievable style that any customer would be able to recreate in their home. We love presenting these pieces in a 'real life' setting, as it allows potential customers to imagine how these pieces could fit into their own home. 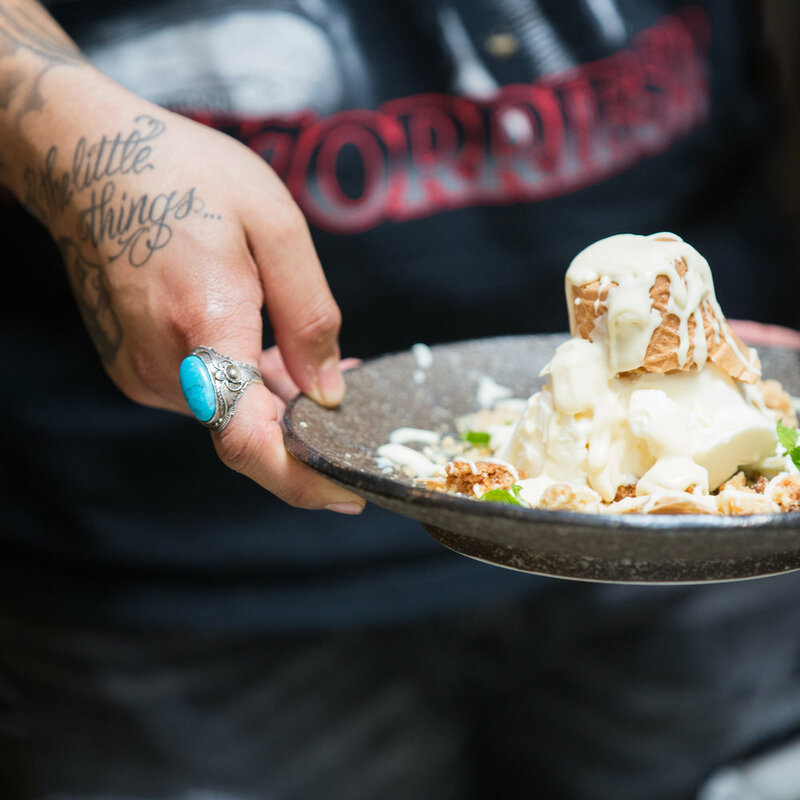 We're always on the hunt for unique and impressive desserts, and when we came across Don't Lose Your Temper we knew we were on to a winner. 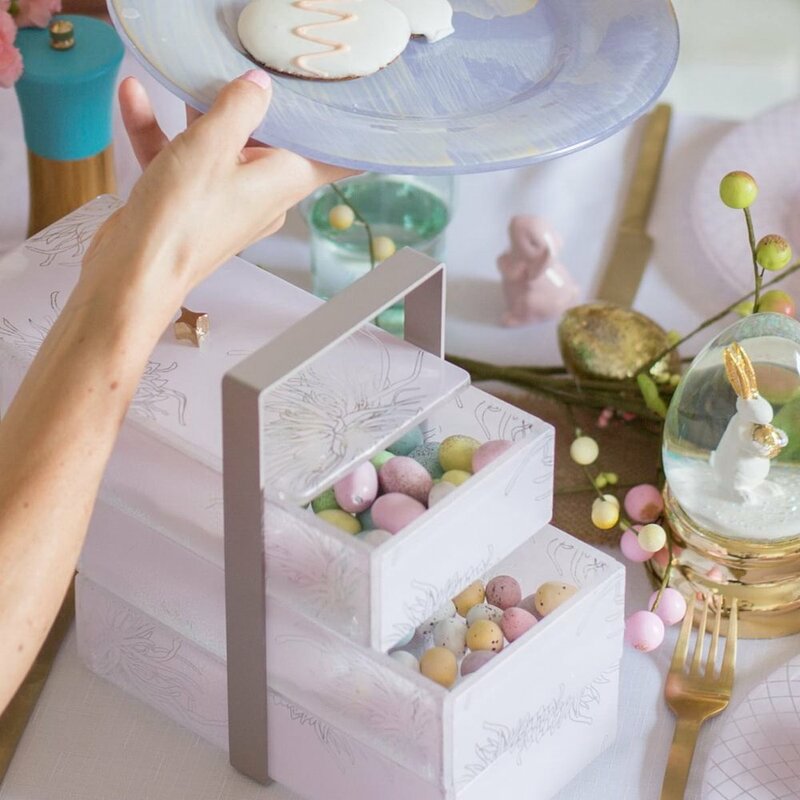 Made locally in Melbourne, these sweet treats were the perfect addition to this shoot, adding an element of interest without drawing attention from the dinnerware pieces. They were also delicious, as one would expect! This home in Melbourne's Fitzroy had gorgeous natural light, and provided the perfect location to achieve the lifestyle images we were hoping to, in addition to the required table setting images we capture for the client each month. We have some really exciting shoots for Anna Vasily in the works, and we're looking forward to bringing you more new content shortly. Social media is an ever-evolving platform, and it is crucial for brands to maintain a steady flow of new and innovative content to keep their feed looking fresh and followers engaged. One of the things we love most about working with Thin Lizzy Beauty is that they recognise this and have monthly content shoots written into their contract. As an agency, this allows us to respond quickly to the release of new products, and ensured that recent changes to the brand’s packaging were able to be promoted quickly and seamlessly across all their social platforms. 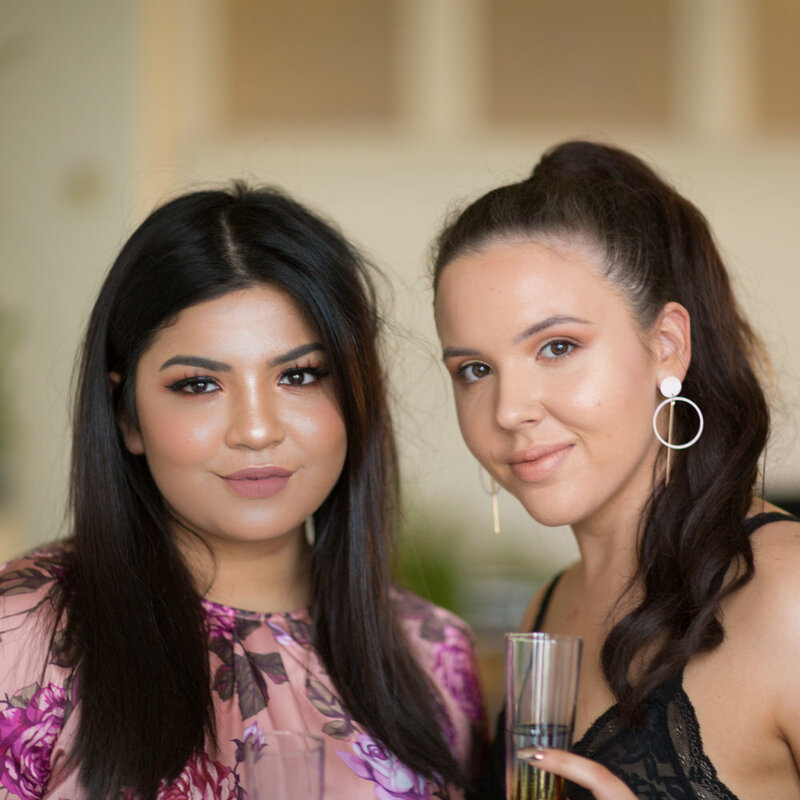 For this month’s content creation shoot, we continued to collaborate with beauty influencers and fans of the brand, Carmen (@mybeautyheroes) and Casey (@thatmelbournebrunette). Each of these lovely ladies created a look using the Thin Lizzy range, with two wildly different - yet equally stunning – looks as a result. This shoot was also a great opportunity for us to capture images of the brand’s new packaging. Over the past few months Thin Lizzy has been transitioning from their long-standing royal blue and lavender packaging to a more modern (and absolutely stunning) rose gold look. This new look reflects Thin Lizzy’s positioning in the market as a go-to for both established and up-and-coming influencers and make up artists, at a price point that makes it accessible to all. There’s plenty to celebrate this month, with Thin Lizzy being named as New Zealand’s top selling face brand for the month of June, and also hitting the 10,000 follower mark. Reaching this milestone, increasing the Thin Lizzy Instagram account at an average of 800 followers a month has been a hugely rewarding experience for the Prince and Mercer team, and the creative freedom and support from the Thin Lizzy team has enabled us to build a genuinely solid partnership with a brand that we truly love. A driving principle behind everything we do at Prince and Mercer (especially for our photo shoots) is to go the extra mile – for us, this means thoroughly researching our brands, hours spent scouring Pinterest for inspiration, and finding the perfect props to ensure our images are on brand and on point. For this shoot, we contacted Wholesale Satin Robes to provide the gorgeous customised blush satin robes below for our bloggers. The robes photographed beautifully and our bloggers were thrilled with their bespoke gift to take home as a memento of the day. 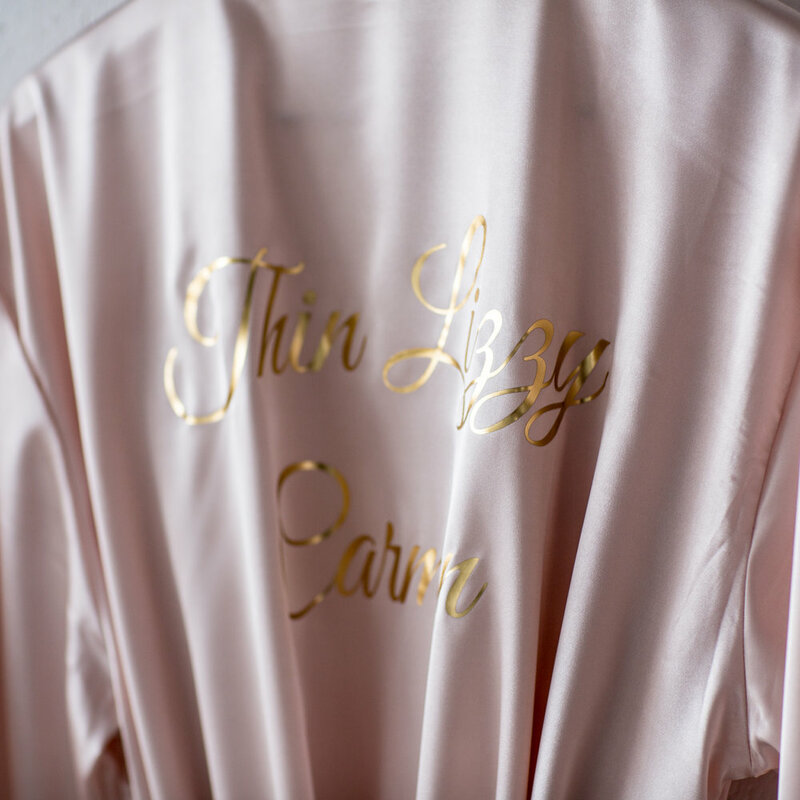 This small extra-mile gesture encouraged extra content creation from our bloggers, built a relationship between the two businesses and led to a content extension, with Thin Lizzy offering a pair of matching robes as a giveaway for International Friendship Day. We believe strongly in the power of collaboration, and this is a great example of how we do it. We filmed our bloggers as they created their look from start to finish, with Rachel from This Very Now videography. Video is a fantastic medium that offers additional content for brands while creating a really personal connection with followers. Neither of our bloggers had participated in a shoot like this before, and it was really heartwarming to see their confidence build throughout the shoot. Thin Lizzy will continue to roll out their new packaging across the entire range over the coming months, and continue to develop new products to add to their roster. We’ll keep you updated on new products as they’re released to market, and will continue to showcase their work here on the blog. 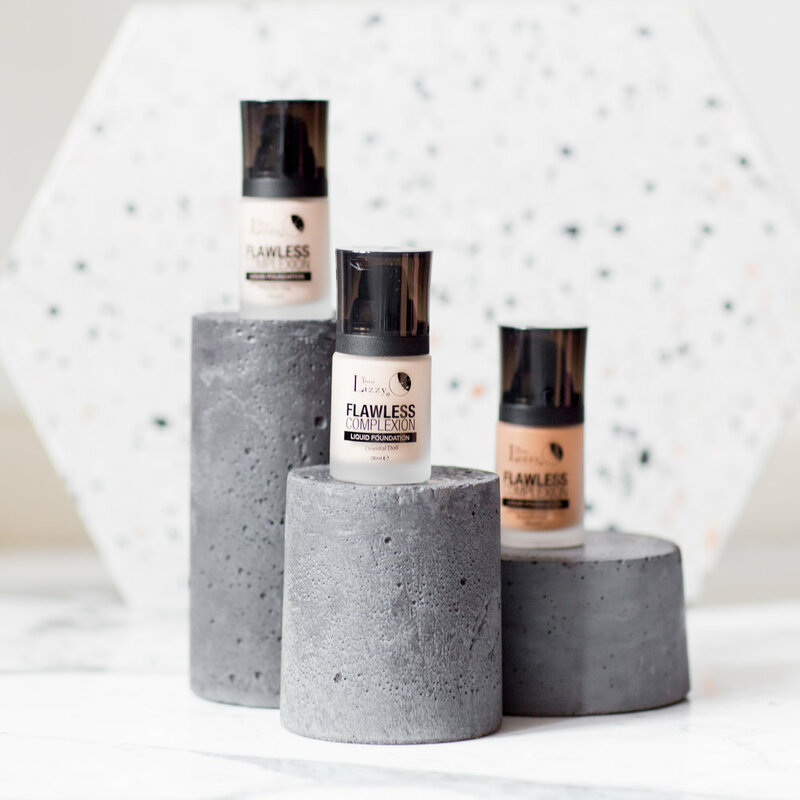 If you like what you see, head over to @thinlizzybeauty and support this fantastic brand. Those familiar with Melbourne's dining scene are sure to know - and love - Syracuse Restaurant and Wine Bar. 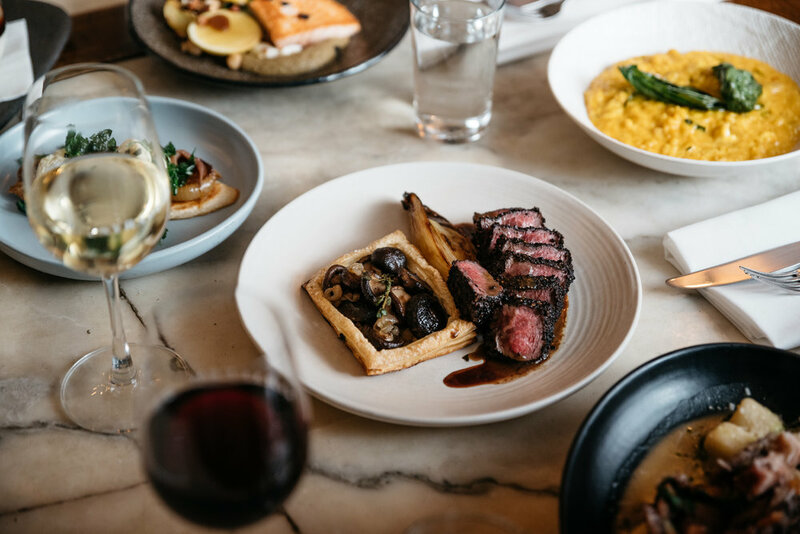 Located in Bank Place between Collins and Little Collins Streets, in the heart of Melbourne's CBD, Syracuse serves up some seriously delicious modern Sicilian fare. More than just your average Italian cuisine, Sicilian food also has Greek, Spanish and French influences, with perfectly balanced flavours and a focus on fresh produce. With the launch of their new winter menu, and with their dessert degustation "A Sweet Soiree" coming up, a content update was required. For all our hospitality clients, due to the seasonality of produce and offerings, we recommend shoots every 8 weeks to ensure the freshest, most relevant content. The main focus of this shoot was to showcase some of the desserts on offer at the upcoming event, "A Sweet Soiree", to be held on Wednesday 1st August. Boasting a five course dessert menu created by Philippa Sibley, Australia's Queen of Desserts, with an impressive array of perfectly paired wines selected by sommelier Florian Valieres, this event is sure to be a crowd pleaser. Tickets are still available for this event, and available here. Our client, Thin Lizzy, has experienced significant growth across their social channels this year – and it doesn’t look like it’s slowing down any time soon. 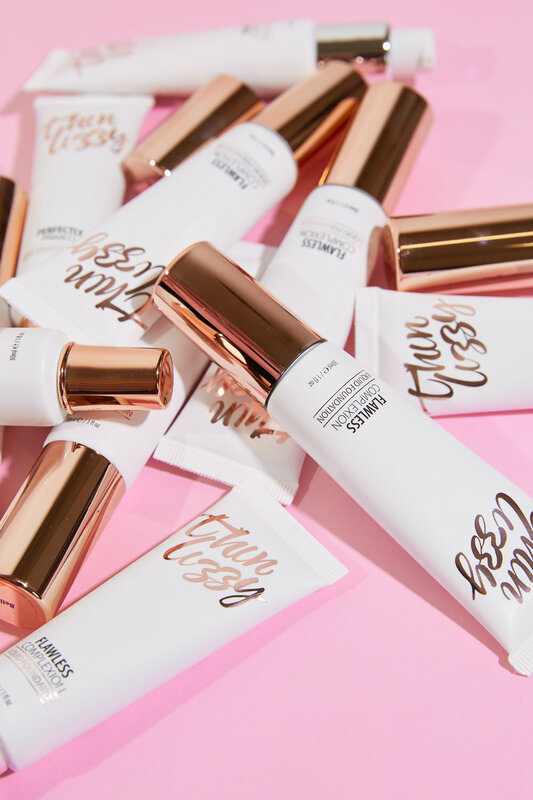 Having expanded their offering from the original 6-in-1 to a whole range of cosmetic staples, Thin Lizzy has evolved to become a surprising addition to the makeup bags of many a beauty blogger. As they roll out their new look branding, Thin Lizzy are also developing some seriously solid blogger relationships, facilitated by the Prince and Mercer team. For this month’s content creation shoot, we collaborated with two of our favourite up-and-coming beauty bloggers to create some fantastic content. Our bloggers – Kershia (@theloveoflipsticks) and Jessica (@jessicablackk) – created two looks from Thin Lizzy’s Get The Look competition; going from a soft and subtle look to a more dramatic one, using Thin Lizzy’s products including the new Perfect Wing eyeliner stamp. Thin Lizzy’s latest product release, the Perfect Wing, takes the time and hassle out of creating a perfectly symmetrical winged eyeliner look. Available in four sizes from a 6mm stamp up to a bold 12mm, the Perfect Wing has a left and right stamp for ease of application, and a liquid eyeliner to complete the look. The Get The Look Campaign is a Thin Lizzy initiative to discover the best up-and-coming beauty influencers, offering the opportunity to represent the Thin Lizzy brand in an upcoming television commercial. With 15 categories ranging from Pretty and Polished to Smokey and Sultry, the competition is designed to showcase the versatility of Thin Lizzy’s product range, while discovering fresh new talent such as the two lovely ladies involved in our shoot. We filmed our bloggers as they created their two looks to provide additional bonus content for our client. Seriously impressed with how confident and at ease our bloggers were in front of the cameras, we love how the video clips turned out – we can’t wait to show them off on our social channels! This shoot was a fantastic opportunity to capture some on-brand product and lifestyle images with Thin Lizzy’s new packaging, while solidifying the relationships we’ve made with some of Melbourne’s most enthusiastic beauty influencers. We're huge fans of sweet treats here at Prince and Mercer, so when one of our favourite clients asked us to shoot an Inspiration piece for Donut Day, we jumped at the chance. 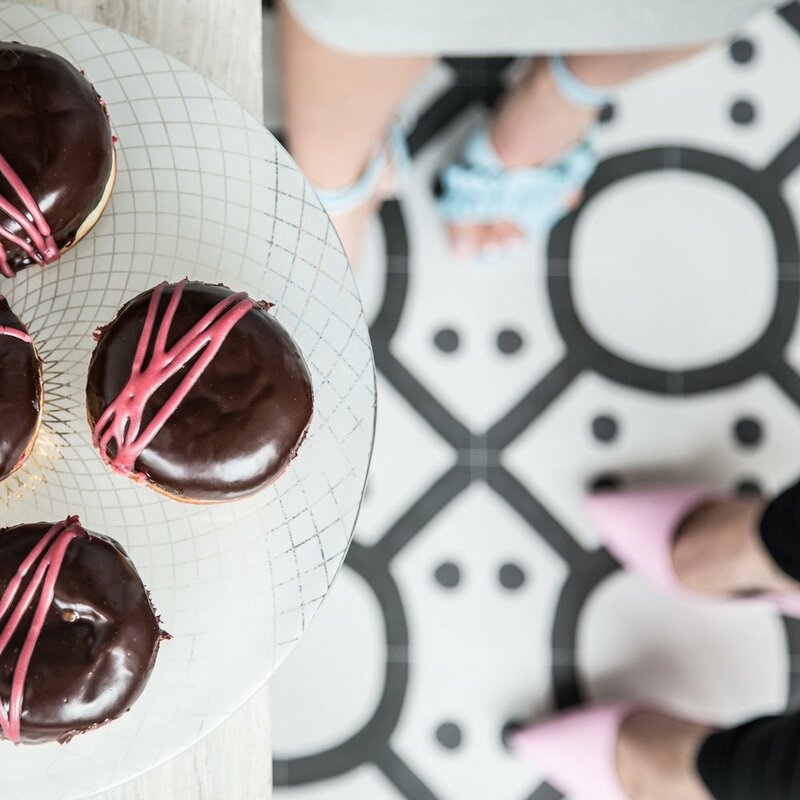 With a brief of, "beautiful platters, beautiful flooring, beautiful shoes and beautiful donuts", we channelled our inner Kate Middleton and set about sourcing floors and footwear for the shoot. We already knew where to go for Melbourne's best donuts - Doughboys Doughnuts on Bourke St. Working with the request that all the donuts featured in the shoot be fairly impressive, we selected a range of pink, white and chocolate donuts from the weekly order sheet provided. We couldn't have been happier with how beautifully they photographed. With the food component taken care of, we set about sourcing similar flooring to the examples we were given in our brief. A quick call to the knower of all things tiles and flooring, Dara at Byzantine Design in Prahran, and we had our answer - the stunning range of vinyl floor rugs from the Byzantine Design x Bonnie and Neil Collection. Available in a variety of designs and colours, we were able to take our pick of the collection, and though we didn't want to pull focus from Anna Vasily's stunning glassware, we did want to complement the range with the perfect floors. Pictured above is the Seventies Black Vinyl Rug, and below is our favourite, the Cuban Blue Vinyl Rug. You can check out the entire range of the Byzantine Design x Bonnie and Neil Collection here. Finally, a quick online shop for some classy heels to accommodate our models, and we were in business. 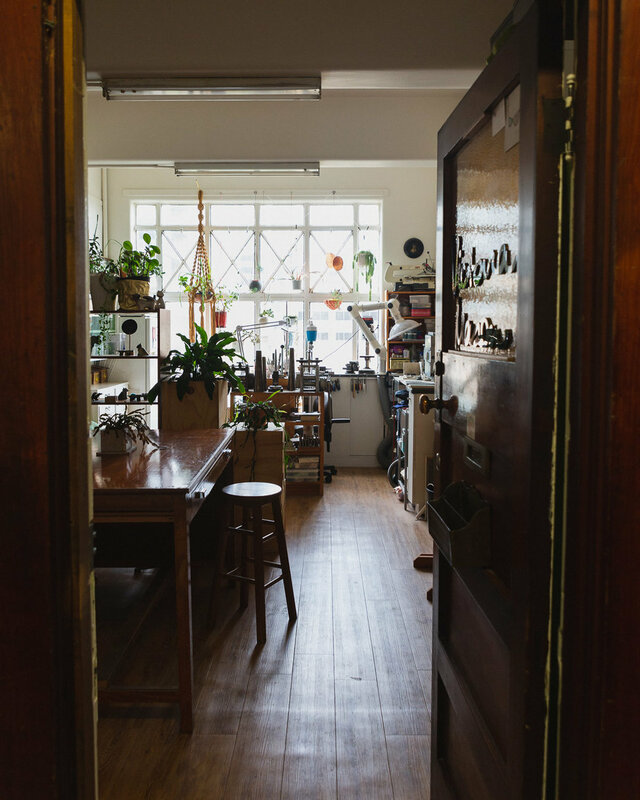 Having secured the gorgeous light-filled space, Studio Local in Northcote, all our photographer needed to bring was her camera - and a step ladder. All images taken by the wonderful Grace Petrou, our photographer of choice for Anna Vasily content. Whilst we believe that every day should be Donut Day, we certainly enjoyed the opportunity to capture these images for our client. And the leftover donuts? They were delicious.